New Hampshire homeowners know that having high-efficiency HVAC equipment is a must for keeping comfortable and saving money from season to unpredictable season. But we’re not only talking about your boiler or furnace and your air conditioning system. Winter, spring, summer, or fall, your home’s water heater is operating daily to deliver the hot water you need for showering, dishwashing, laundering, and more. This hardworking HVAC appliance not only needs routine maintenance, just like your heating and cooling systems, but it also should be replaced every decade or so for your safety, cost savings, and everyday convenience. The most common reason for water heater failure is old age. If your system is not being properly maintained on an annual basis by a licensed HVAC professional, sudden system failure can occur without warning, putting members of your household in harm’s way and causing damage to your property. Your HVAC service provider and/or water heater equipment manufacturer can recommend when it’s time to replace your system to help avoid a hazardous malfunction. Not to mention, new equipment will operate more efficiently to lower your fuel costs and deliver more readily available hot water every day. As technology continues to advance for water heating systems, there are several options for homeowners using oil or gas to consider. The water heater in your home today, if not recently updated, is likely a conventional storage water heater. This unit holds a supply of hot water and operates by releasing it from the top of the tank when hot water is called for. Afterward, cold water fills the bottom of the tank. According to ENERGY STAR®, new gas-fired storage water heaters are about 8% more efficient than older models. This appliance uses the heat from your boiler or furnace to heat your hot water simultaneously. At the time hot water or heat is called for, the demand is taken from the indirect water tank instead of the heating system. Energy stored by the water tank allows the furnace or boiler to turn off and on less often, which can save energy, lower heating costs, and extend the life of these important appliances. For the best return on your investment, choose a tankless water heater. With this system, there is no need for a storage tank. Cold water simply travels through a pipe to reach a unit with a heating element, resulting in instant hot water always available when you need it. ENERGY STAR states that this water heating option can be anywhere from 8% to 34% more efficient than a storage water heater! 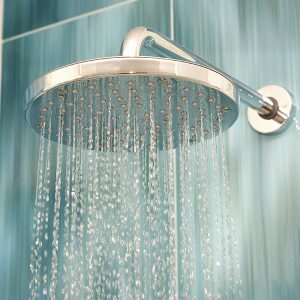 Say goodbye to cold showers and high energy bills. Contact Patriot Heating & Cooling for a free estimate on your new water heater today!